Jan has performed professionally and holds a degree in musical theater and acting. The Southern California Philharmonic Society selected Jan at age 19 as outstanding vocalist. Jan stresses the creative potential of audience and participants through the experience of live theatre. Improvisation, stage basics and acting techniques; the preparation you need to be on stage or enrich your life! We need your help to provide scholarships to children who would otherwise miss this great opportunity. Our kids' workshops have been "center-stage" at the theater since its inception. The workshops introduce youth to the adventure of performing on stage in an environment that encourages each participant to explore his or her talents in a friendly and structured setting. Workshops are available during the summer break, usually late June through mid-late July. 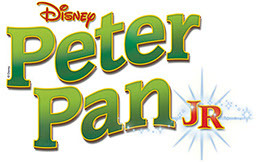 Past workshops include Beauty and the Beast Jr., Fractured Fairy Tales, Annie Jr., and Fiddler on the Roof Jr.
All participants are given the chance to practice the basics of stage performance - singing, dancing, technical aspects, backstage, costumes, hair and make-up. Each child is carefully coached and encouraged in every aspect of theatre art. Summer Workshop Directors are chosen for their abilities in theatre as well as their abilities to work with children. Led by WWCA Artistic Director & Author Jan Peterson Ewen! 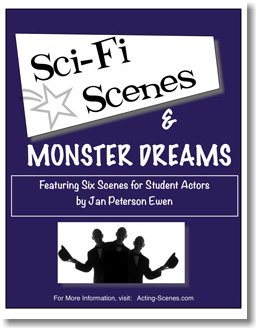 "Sci - Fi Scenes and Monster Dreams"
July 26th, at 7:00 pm. Participants must be able to read. Sign Up for email notification of auditions, events, and WWCA news!